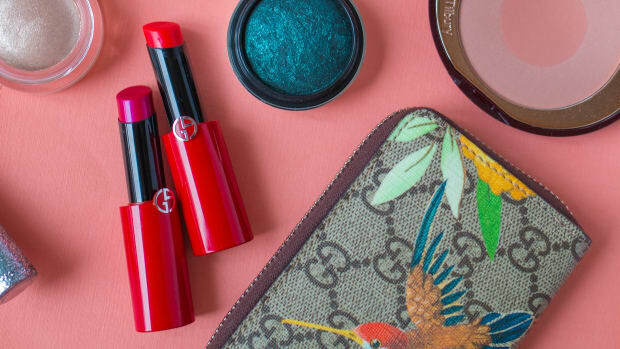 Black Friday may be over, but the beauty deals are still going strong for Cyber Monday! 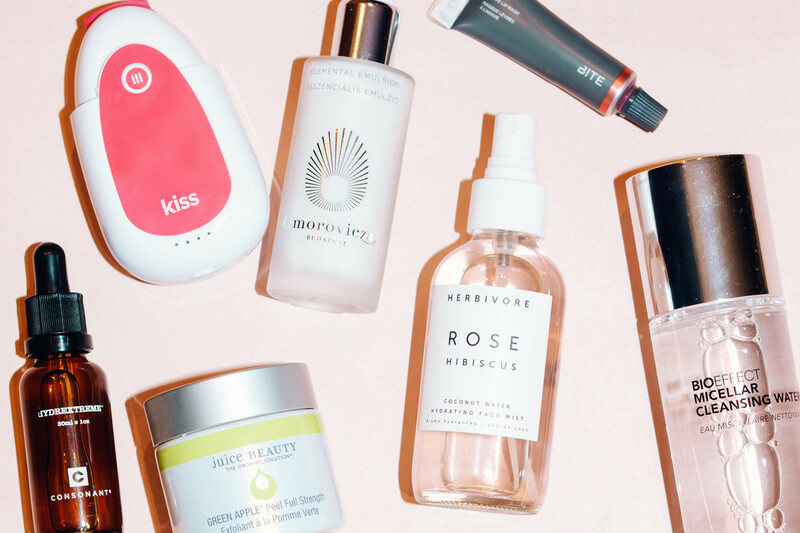 I&apos;ve got an updated list of sales for you, and you&apos;ll be happy to know that some brands—like Herbivore, Tatcha and Juice Beauty—are offering even BIGGER discounts this week. I&apos;ll keep this page updated throughout the day as I hear about new discounts, so keep checking back... and if you need suggestions for what to buy, check out my Clean Beauty Gift Guide and my top picks in The Shop! Beauty products on sale this Cyber Monday, including PMD, Omorovicza, Herbivore, Bite Beauty, BIOeffect, NuFace, S.W. Basics, Tatcha, Foreo, Kate Somerville, Juice Beauty and Consonant. Amazon.com, Amazon.ca and Amazon.co.uk are offering a week of Cyber Monday deals. 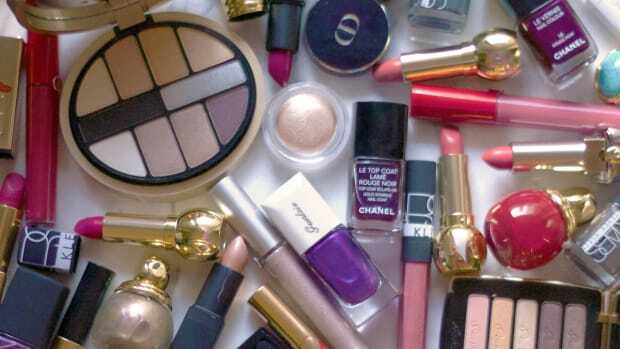 There&apos;s a new selection of beauty products daily, so keep checking back. 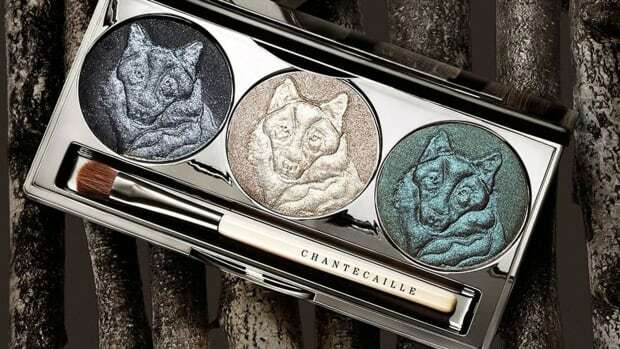 Antonym is offering 30 percent off site-wide with the promo code CYBERBEAUTY2018. Ardency Inn is offering 70 percent off site-wide (excluding value sets) with the promo code CYBER70. bareMinerals is offering 25 percent off site-wide plus free shipping with the promo code CYBER2018. 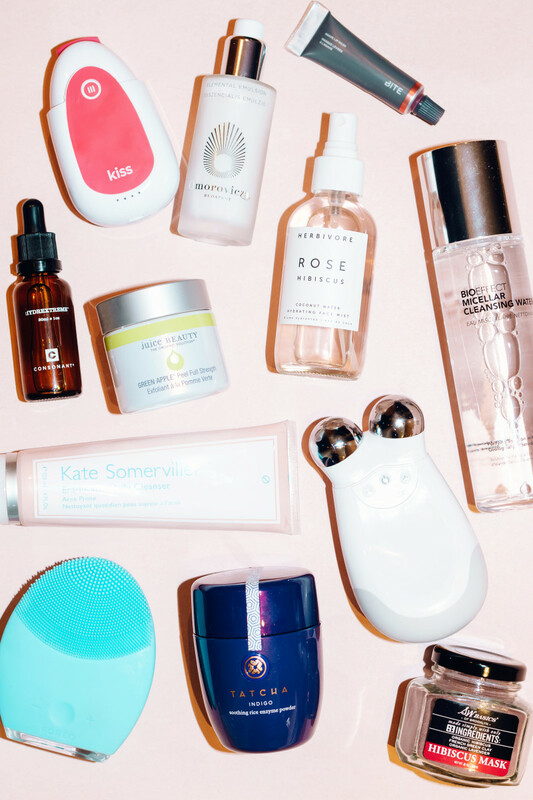 Beauty Bridge is offering 25 percent off site-wide with the promo code CYBER25. Benefit is offering 25 percent off site-wide with the promo code BENESAVE. Biossance is offering 25 percent off site-wide plus free shipping with the promo code CLEAN. Bliss is offering 25 percent off site-wide with the promo code MONDAYFUNDAY. Boscia is offering 25 percent off site-wide with the promo code W25. Buxom is offering 25 percent off site-wide with the promo code CYBER. Credo Beauty is offering a free facial duo with any purchase of $125 or more with the promo code CYBERCLEAN. Dermstore is offering up to 30 percent off with the promo code CYBER. Drunk Elephant is offering a limited-edition 15 mL Sukari Babyfacial for $28. Estée Lauder is offering a surprise full-size product with any purchase of $75 or more with the promo code BESTMONDAYEVER. Follain is offering 20 percent off site-wide plus free shipping with the promo code CYBER20. Herbivore is offering 25 percent off site-wide plus free shipping with the promo code HOLIDAYGEMS. 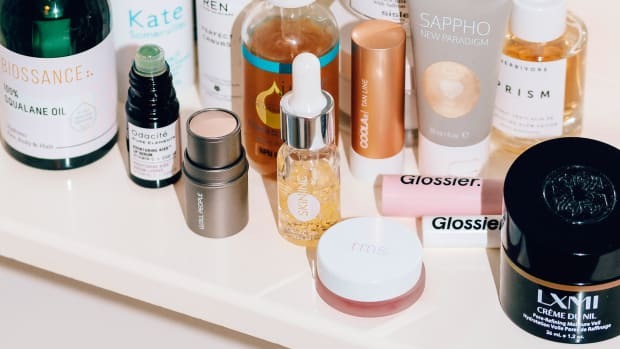 Holt Renfrew is offering 15 percent off all beauty and grooming products and 25 percent off selected beauty sets with the promo code CYBERBEAUTY. ILIA is offering 20 percent off site-wide plus free shipping with the promo code BLACKFRIDAY. Josie Maran is offering 25 percent off site-wide with the promo code CYBER. Jouer is offering 30 percent off site-wide with the promo code 30JOUER. Juice Beauty is offering 20 percent off site-wide plus free US shipping with the promo code CYBER18. Kate Somerville is offering 30 percent off site-wide with the promo code CYBER30. Kjaer Weis is offering 20 percent off site-wide with the promo code KWBF18. Kopari is offering 20 percent off site-wide with the promo code STEALS. Lilah B. is offering 25 percent off site-wide with the promo code HOLIDAY25. Lookfantastic is offering 20 percent off any purchase of £55 or more with the promo code CYBER. LXMI is offering a buy one, get one free deal with the promo code CM2. Mario Badescu is offering 10 percent off any purchase of $50 or more with the promo code CYBERMON; 15 percent off any purchase of $75 or more with the promo code CYBERMON; and 20 percent off any purchase of $100 or more with the promo code CYBERMON. Need Supply Co. is offering 20 percent off site-wide with the promo code INTERNET20. Nordstrom is offering a selection of Black Friday beauty deals and more than 80 free gifts with purchase (up to $175 value). NuFace is offering 20 percent off site-wide with the promo code CONTOUR. REN Clean Skincare is offering 30 percent off site-wide and free US shipping with the promo code CYBER. Revolve is offering up to 75 percent off new markdowns and an extra 20 percent off final sale items with the promo code CYBER20. Sisley is offering a Cyber Monday set ($332 value) for $192. Soko Glam is offering 30 percent off five- and 10-step sets with the promo code SGBF18. 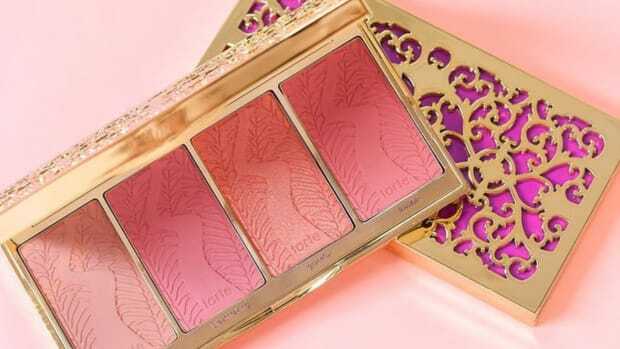 Tarte is offering up to 60 percent off selected products and 25 percent off site-wide with the promo code CYBER. Tatcha is offering 20 percent off site-wide with the promo code CYBER18. 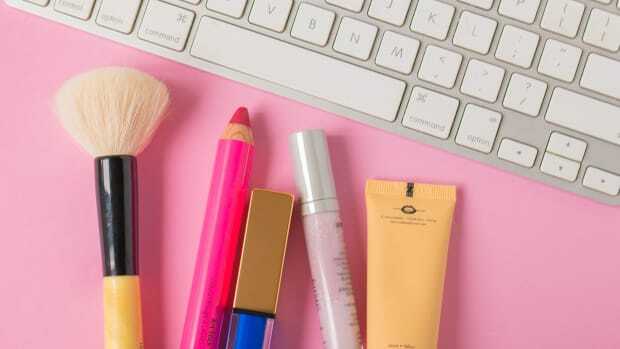 Ulta is offering a selection of Cyber Monday beauty deals, plus $10 off any purchase of $50 or more with the promo code CYBERMON18. Urban Decay is offering 50 percent off the Naked Heat Eyeshadow Palette with the promo code HOTINHERE. YSLBeautyUS.com is offering 15 to 20 percent off any purchase of $50 or more with the promo code HOLIDAY. YSLBeauty.ca is offering 20 percent off any purchase of $200 or more plus a free brush set with the promo code YSL20. YSLBeauty.co.uk is offering 20 percent off site-wide; 30 percent off any purchase of $150 or more; and 40 percent off selected products with the promo code YSL.